Internet users access search engines for different types of searches. A searcher will create his search terms differently according to what he intends and will likewise expect different results: perhaps articles, videos, or even an entire site. These searches can be broken down into three distinct search categories: transactional, navigational, and informational. Search engine providers are always competing to try to ensure the best matching content appears in their search results. It’s only when users feel they get useful search results that they will then begin to rely on one particular search engine. In order to output the right content, Google and others need to understand the user’s intentions. It’s not enough to simply recognize individual keywords and keyword combinations within the search input terms and match them with websites containing the same phrases. To accurately classify the user search, it is also important to correctly determine and respond to the true purpose of the request. For example, once it becomes clear a user wants to make a purchase, they can be directed to an online store, or if they are searching for information, they will be more likely to discover tutorials and blog articles on their search topic. transactional search queries: this kind of request indicates that the user wishes to execute a transaction– for example, “buy books” or “purchase an iPhone 6”. navigational search queries: these requests establish that the user wants to visit a specific site or find a certain vendor– for example, “YouTube” or “Apple”. informational search queries: in these instances, the user is looking for certain information– for example, “how to make coffee”. Search requests that indicate a clear intention to buy or concern a planned purchase are regarded as transactional queries. Here, searchers are looking to acquire a (digital) product, either free or in return for payment. And they will use the search engine to select this product and visit the relevant website to make their purchase. Navigation-oriented searches are targeting a certain kind of website. The user is not seeking a particular product or company and has no clear intent to purchase. He simply wishes to visit a particular type of website and uses the search engine to navigate there. Navigational searches are also conducted when the user does not know the exact web address or the correct spelling of the brand name or company he is looking for. Examples of navigation-driven keywords would include not only terms such as “Apple” and “Frankfurt city library” but also “Nike running shoes”. With such searches, users are usually trying to reach the websites or targeted subpages of brands, businesses, and organizations. Sometimes, a user will unnecessarily type a complete URL, such as “www.textbroker.com”, in the search box. Information-oriented searches are probably the earliest form query because search engines were first developed to filter specific information from a dataset that had become unmanageably large (the World Wide Web). Due to this, users employ informational searches whenever they need guidance, background information, or specific information about a topic or product without having any concrete intention to purchase or any wish to seek out a certain landing page. Information-oriented searches can utilize an infinite variety of different keyword combinations. They can be presented not only in question form – for example, “How do I make coffee?” – but also as a simple word combinations like “making coffee”. Even a single word such as “dog” can be interpreted as an information-driven request. Search engines will then provide general information about this keyword, often available on informational sites such as Wikipedia. Search engines like Google present different kinds of content based on assumptions they make about the underlying intentions of a user’s query, and results for transactional, informational, and navigational queries can therefore look quite different. While the search results for transactional keywords generally call up the appropriate online store, results for navigational searches usually include the actual brand or company pages. For those seeking information, Google often displays blog articles, tutorials, and videos as well as knowledge bases such as Wikipedia or Merriam Webster. In addition to the regular organic search results, Google is now integrating more and more of its own services in the SERP listings. For example, AdWords displayed alongside almost every query bring Google rich rewards. Search providers are usually able to distinguish between the various types of search requests and thus tend to display more ads for transactional queries than for information-driven requests. Besides its advertisements, other services such as Google Images, Google News, or the mapping service Google Maps are now an integral part of almost every search-result listing. Transaction-driven searches often display results from Google Shopping services while searches for flights will show Google’s Flight Service within the SERPs. With its Knowledge Graph, Google has integrated a further function which extracts information from websites and then makes this data available to the user direct from the search results page. With informational and navigational searches, users can then move directly from Google to the relevant response page without having make any further clicks within the search results. Not all requests can be clearly assigned to a search-query category. For example, the query “Apple iPhone” may suggest the need for an informational, transactional, or navigational response. Thus for certain keyword combinations, search engines will display online stores, different websites, and varied types of content such as knowledge databases and tutorials, all on one results page. Google also tries to customize each individual user’s search results. Therefore, the results of any search query will always be influenced by previous searches, the user’s location, and whether or not he is logged into his Google account. 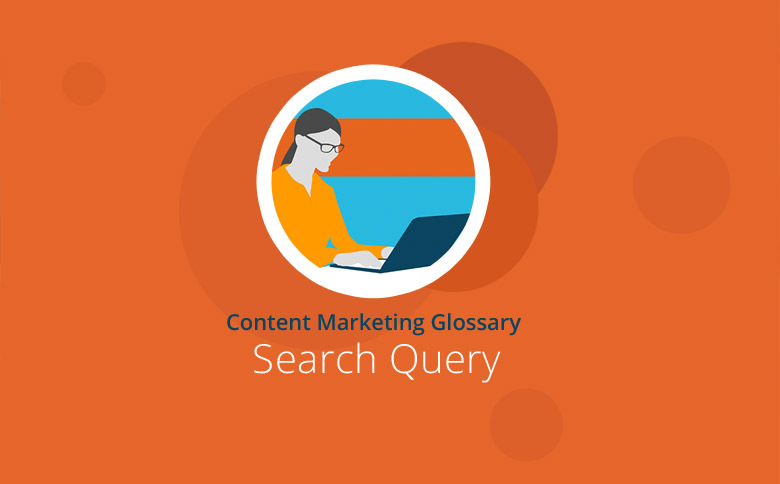 For website owners, these different query types mean that they should prepare their content as broadly as possible so that it can be easily found by users. This means careful content planning that focuses on the user’s needs. A good website should offer content which is aligned with website goals (for example, sales or information), takes account of the target audience, and is optimized for the point the user has reached in his purchase journey. Ideally, a company should produce content that is appropriate for any kind of requirement. For informational searches, you should create useful content such as blog posts, e-books, videos, or tutorials. High-quality, user-oriented content can spread virally across the Internet and can achieve high rankings in search results. However, gaining similar results with transactional searches depends much more on good search engine optimization and Google’s assessment procedure. Here, good on-page and off-page optimization of your online shop or website are an important step towards laying the foundations for a good ranking. The most basic preparation required for navigational searches is that your brand is well-known and has a strong, positive identity. After all, it’s only when users know of a company that they can then search for its website. With effective marketing, especially good content marketing, companies can increase their visibility and boost their authority. In addition, website owners should offer Google structured data to be displayed on its Knowledge Graph and also identify sitelinks that will enable users to navigate directly to subpages. Both of these facilities can be set up via the Google Search Console. These factors make it increasingly difficult for website owners to guide users to their site because if they have to be displayed for each type of search request, they can be only partially effective. It’s often the somewhat arbitrary ranking factors applied by Google and others which actually decide who does, and does not, appear in the SERPs listings. In addition, sites must not only compete against rival providers but also increasingly against Google itself. With its own services and features, this search engine provider is now attempting to keep users on its own pages and within its own “system”. This trend is particularly noticeable in the case of mobile searches where users now need to leave the Google app less and less to find their desired information. The closed world of social media and developments such as Facebook’s Instant Articles and Buy buttons within Apps also contribute to an atmosphere in which the user’s need to visit a company’s website is becoming increasingly rare. In principle, searches can be broadly classified according to the intention behind them. People use search engines for three particular reasons: to obtain information, to orientate themselves online, or to perform a transaction. These intentions give rise to informational, navigational, or transactional searches respectively. Any type of query can be identified by the keywords the user employs and by the format adopted for search-engine input. Google and others try to match their search results to the different types of search query and attempt to identify the searcher’s specific intention so that they can respond to his needs. Increasingly, search engines also include links to their own services in order to make certain information more quickly and easily accessible to the user. By doing this, search engines seem to be almost competing with the content providers appearing in the “regular” organic search results. Website owners can accommodate different types of search queries to extend their own domain with different types of content, good marketing (especially content marketing), and responsive SEO, and therefore target the needs of their users as accurately as possible.